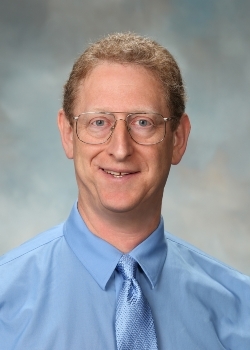 Dr. Steve Levin is the father of 3 children (CCHS graduating class of 2016, 2021, and 2023). He and his wife Lisa have volunteered at CCUSD schools in various capacities since 2003. An astrophysicist, he has worked at the Jet Propulsion Laboratory since 1990, and is currently the Project Scientist for Juno, a spacecraft which began orbiting Jupiter in 2016, and he is also the lead scientist for the Goldstone Apple Valley Radio Telescope project, in which students do real science by operating a NASA radio telescope from their classrooms. His research interests have included the light left over from the Big Bang (Cosmic Microwave Background), the search for extraterrestrial intelligence (SETI), measuring magnetic fields in star-forming regions, looking for near-Earth asteroids, and modeling radio emission from Jupiter’s radiation belts. He has done radio astronomy from large radio telescopes, mountain top research stations, the South Pole, high-altitude balloons, and spacecraft. Steve loves to talk about science with the public and especially with students, so if you’re a teacher and want him to talk at your school, don’t hesitate to ask.